While paying down the mortgage is undoubtedly one of the largest financial burdens many Americans have to contend with, it’s certainly not the only long-term investment homeowners need to consider. This is particularly true for homeowners nearing their 60s, for whom financial investments made today can have a lasting impact on their post-retirement income. 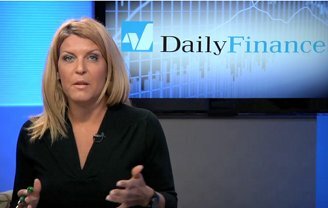 Our sister site, DailyFinance, addresses this issue in the latest entry of their “Ask the Expert” video series with Regina Lewis. For 57-year-old Ed, a homeowner nearing the end of his fixed-rate mortgage, the decision to pay off his debt early or begin investing his money elsewhere can make a real difference in just how far his savings will take him. Read his full question, and Regina’s video response, below. Ed asks: I am 57 years old with a couple more years to work before I retire. I currently have an equity mortgage on my home with $30,000. The house payment is less than $100 a month. I pay $1,100 a month toward the loan. Here is my question. Should I be paying minimal on my mortgage and putting the rest in my 401(k) and hopefully make money on that money, or would you pay the house off by continuing to pay the accelerated payment to get it paid off as quickly as possible? What is my smartest move? I think I know, but want to hear a professional’s point of view. For more expert advice from Regina Lewis, visit DailyFinance. And to ask the DailyFinance team your own personal finance question, add your comments here.